Getting an air conditioner repaired can be a costly affair while there are some tips that can be sued by yourselves so that you can save your money. There are some ways using which you can easily fix some issue by yourselves. 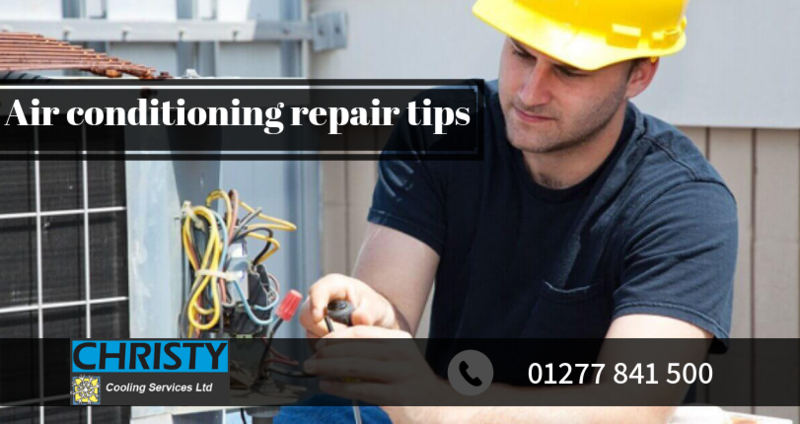 Here we have mentioned a few tips that can help you to get your air conditioner repaired without any stress. These simple and easy air conditioning repair tips will truly help you to save your time and money. Just make use of them and have a great time with your machine. You need to check the breaker of the machine. The breaker must have tripped. If it is really tripped then you can fix that so that the air conditioner will start work and you will get that done without the professional help. You can make use of some devices like lights or any other things to see if the breaker is working fine. If for such small thing you will call the technician then you will lose your money unnecessarily, it is always better to have a self-check. If you are not able to do it all by yourselves then you can call us. We will do the air conditioning installation and repair and the machine will start working as before. If your machine is operated on battery then it may happen that only replacement of batteries is required. Rather than calling the person and waste your money you can check the batteries on your own. If you get the new batteries then it will start working and you save your money and time. You also need to see to it that the thermostat has a temperature that is less than the room temperature. If it is not, only setting the right temperature will work. You also have to see if the unit is turned off. If that is turned off then you need to first turn it on. By just changing the setting you can start your machine. If you still face any issue then you can definitely make us a call and we will be available for you. Sometimes the filter needs a change and if you change it on your won the machine will start working as before. If there is dust in the filter the machine may stop working. You need to see if there are any clogs in the machines those are responsible. If there are any clogs then you can clean the filter and get the machine started. Even if the air flow is less, the machine may stop working. You need to check all these things to get the machine started. It may also make a difference to the cooling of the machine. If you check the filters on your own, then the issue will be resolved with ease. If you have a multi split air conditioning then self-repair will not help, just give us a call. If there is extra ice in your machine then it may get affected. The cooling will be stopped. Just melt the ice and get the cooling done. For some time you need to turn off the system and then the ice will be melted. If you start the fan then the ice will be melted fast. If you maintain good hygiene and keep cleaning the machine regularly then it will never stop working. You can clean it before you call a professional. You need to open the unit with care and then clean the blades well from inside. You need to be careful while cleaning. You also need to have a check on your ducts. You need to see if the air flow is going well. This may be a reason for the issue. If you have a wall mounted air conditioner unit then it needs regular basis cleaning. If it is difficult to clean for yourselves then you need to call us as we are one of the best air conditioning installers in Essex. We will clean all the parts separately and the machine will start working in the right way. If you have an air condition that is not working then instead of calling the professional you can have a check on yourselves. If the issue is small you can do it all by yourselves and you can save your time, money and energy. By simple steps mentioned above, you can do the repairs yourselves and there is no need to get the professional support like us. If you try it on your own and feel that it is not done then you can call us anytime by giving a call on 01277 841 500.